These are not normally flavors I would pick but for some reason, this coconut tapioca pudding with mango sounds awesome. The Smitten Kitchen does it again. Ah! It’s a PRINTABLE MONSTER CALENDAR! Do you enjoy pomegranates? I think they’re pretty much a pain to peel and extract but a fun little, seedy, juicy snack. Need some new pomegranate recipes? Click here. 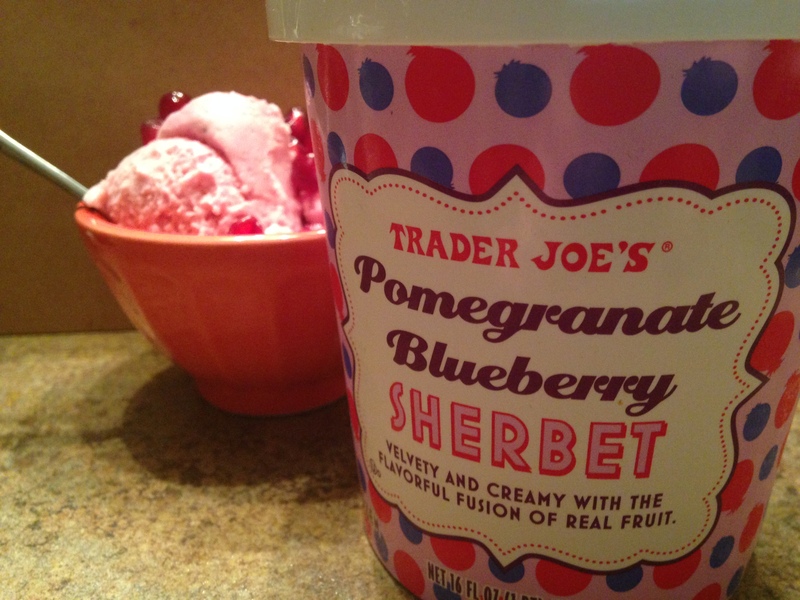 And if you want to enjoy a pomegranate blueberry sherbet, run to Trader Joe’s. I recently bought some and it is so delightful. Has anyone seen any favorite movies lately? I am itching to get the theater and see a whole bunch. After – what I thought – was a disappointing fall in movie releases, there are too many! At the top of my list are: Labor Day, Her, American Hustle, The Secret Life of Walter Mitty, Saving Mr.Banks, The Hobbit, August: Osage County, The Monuments Men … that’s a whole bunch. Though I’m not afraid to go to movies alone, going with people is more fun – taking applications for movie buddies! That’s it. I’m calling it for this Friday Favorites. Happy, joyful weekends to you all!